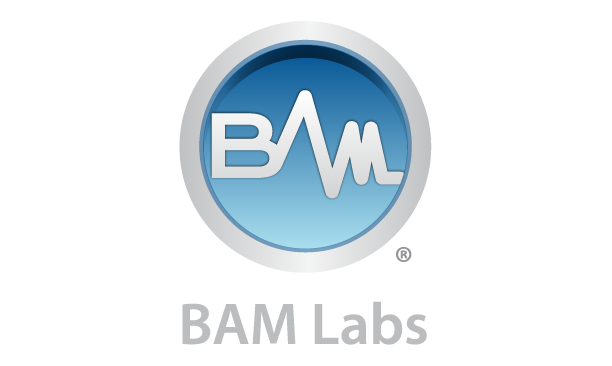 BAM Labs develops a biometric sensor and sleep monitoring device that detects movements, heart rate, and breathing rate. This logo is part of a much larger corporate ID by Luckow, detailed in other sections of this online portfolio. See also: Corporate ID, Packaging, Presentations, Tradeshow, UI/UX, Web and Print. Business Card front and back. Also includes blind emboss.